Resort parking available for all our guests. The Foundry Grill was opened in July of 1996. The name is taken from the concept of the large foundry wall located in the main room. The word foundry also implies simplicity and a return to the fundamentals. The room, the service, and the menu are an extension of this idea. The Foundry Grill is committed to providing the freshest of vegetables and meats cooked in our apple wood rotisserie oven. In warm weather, the patio opens for outside dining. Sundance believes in the preservation of our resources; all our water glasses are created from recycled glass and are hand blown here at the Sundance Resort. 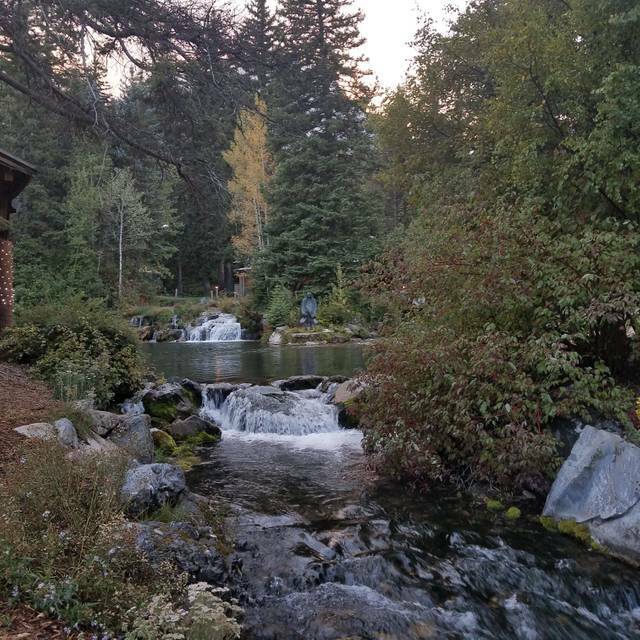 I really enjoyed my visit to Sundance Mountain Resort (first time!) and the capstone of the visit was dining at the Foundry Grill. I visited on the last day of the season, however, and rather than the regular menu, the Grill was serving a lunch buffet. Across the board, the quality was superior with great presentation (even for a buffet!). The staff were interactive and fun - perhaps something about it being the last day. I enjoyed the decor also. Importantly, it seemed to me that while everyone else is searching for "authenticity", Sundance and Foundry Grill actually have it. And they have it without sacrificing what we've come to expect in a modern dining experience. VERY PLEASED overall, and the best of success to the restaurant next season. The food and service is excellent. I think the price is pretty steep, and the menu seems limited and a little uppity. We were married at Sundance and try and visit every anniversary. One of the best brunches anywhere. The Foundry has a new menu. A few new items. We had the airline chicken and it was fabulous. 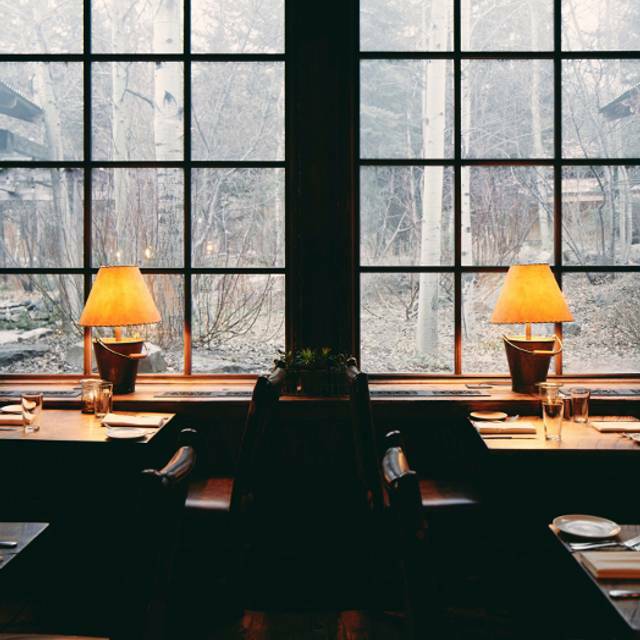 One of our favorite restaurants in Utah. Love the ambiance and the food. Service always wonderful. The food was excellent with several unique options - you don't find butternut squash ravioli just anywhere! The prices were slightly higher than I would expect to pay in the valley, but reasonable for a resort. Our server was very attentive and thoughtful. It was a great experience and I would definitely go again! 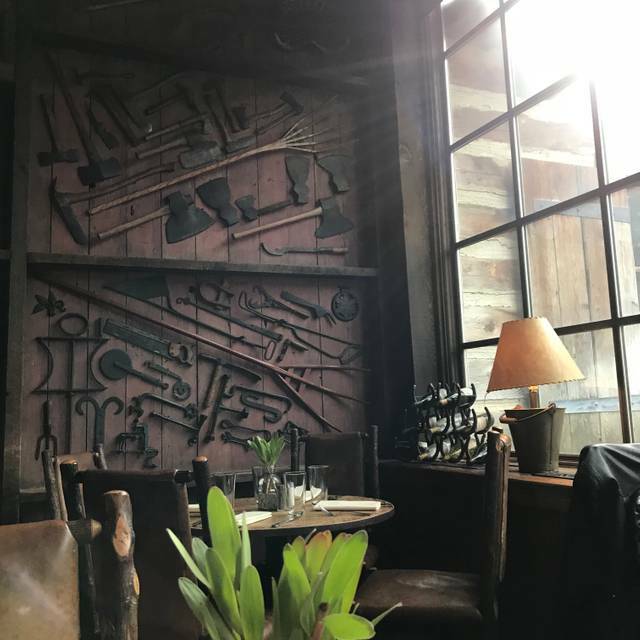 Very rustic but fantastic food. Good drinks and dessert. Nice place. Great atmosphere and food. Charcuterie board was a little skimpy on cheese but well arranged and paired. Some dishes were smaller than others (beef short ribs) so some of our party left hungry but trout and airplane chicken were well sized. Great food, great setting. Going back ASAP. 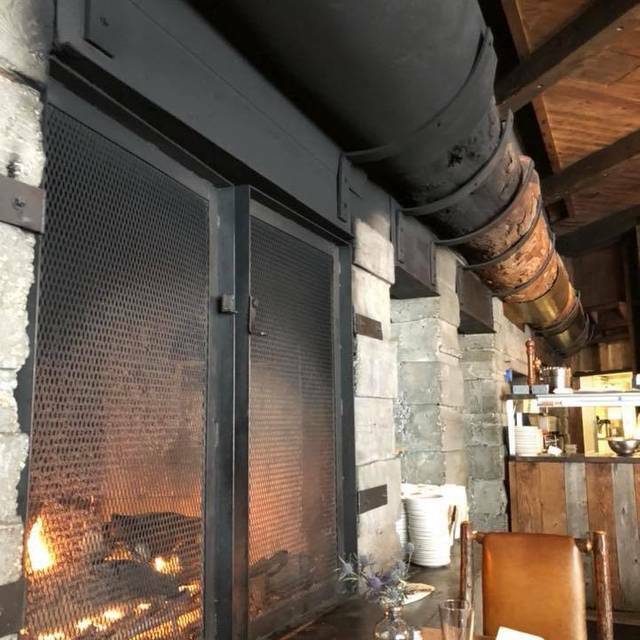 The Foundry Grill at Sundance is always a pleasure! Only wish the menu items were slightly more affordable. The food is good and the setting is nice, but it’s very overpriced(and I dine out often), the menu is not very creative, and the wait staff barely paid attention to us. They should be trained in actually acting half-interested in their customers. No one said thanks for coming. The waitress simply dropped our bill on the table without a word. When you have two glasses of wine at $17 a piece, you would expect a commensurate appreciation. I’ve come here a number of times over the past 15 years, and this is my last visit. Ate here twice this visit, dinner and sunday brunch. The food has improved a lot since our last trip to Sundance several years ago. 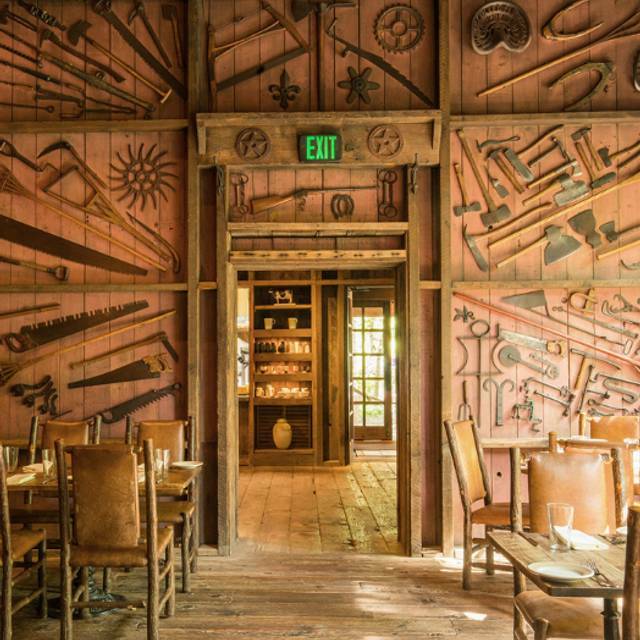 The room is pleasantly rustic, with all unvarnished wood and vintage farm tools on the main wall. For dinner, we had a romantic table in a small back room in front of a fireplace. Service is friendly and attentive, though seating seems needlessly slow. Dinner: I had the charcuterie plate (a board really) as an appetizer, which was good and generous almost to a fault, great bread, great roasted beets, olives, mango chutney, sliced apple and apple jam, plus first class locally made salami, cappicola, and prosciutto, and very nice cheddar and blue cheeses. My wife had a ridiculously large bowl of roasted root vegetables that no single human could finish. "Utah portions." My main course was the salt shrimp and rice, sort of a fusion between Asian salt baked shrimp and Carolina shrimp and grits, which actually mostly worked though the rice was a little pasty. My wife had the Utah trout with squash, shaved brussels sprouts, walnuts and citrus dressing. The trout was tasty and well prepared but the vegetable mix was plain weird, especially the very assertive citrus dressing. Because of the portion size we didn't get desert. She drank a delicious nonalcoholic Canyon Breeze and I had an overpriced ($33) glass of Sea Foam pinot noir which was just ok.
Brunch: $45/person, but it's really good. standouts were the eggs benedict with crisped cappicola instead of bacon, the homemade sausages, the smoked lamb, the fresh fruit--and above all, the blueberry pancakes. the bread pudding was nice and the pistachio panna cotta also looked good but we were too full to try it. I didn't eat dinner that night--or breakfast the next morning. Also, if you go, try the fresh orange juice. Always a wonderful experience! Great food, outstanding service. Good was fantastic and the service was attentive. Beautiful location. Pretty poor experience. Took my wife there to celebrate her job offer and the waitress labeled us as "poor college students" and that showed in our service. Almost got up to go swipe my AMEX myself since she took over 20 min to come to get the bill. Food is good but not the kind of good that you expect at $35+ per entree. I had the trout and the squash mix that the fillets sat on was under cooked and too vinegary. The short rib meat was excellent. The salted shrimp was also good. The onion soup was OK, perhaps too much onion and not enough broth. Crouton could use some work. Server wasn’t patient or descriptive enough to describe the dishes. Ex. Didn’t know what cheese was on the charcuterie platter. Perhaps no pride in the food. The food was excellent. Great service & we were seated right on time for our reservation. Highly recommend the cracker/cheese/olive appetizer & Dutch oven chicken. This is a must while visiting Provo! Had a business lunch at Sundance. I love the atmosphere, the food is delicious, and the service is always good. I had the shrimp tacos, which were tasty. This is one of my favorite places to eat in the area. Great food, cozy atmosphere and excellent service. More of a fast food restaurant vibe with the noise level and clothing from most of the guests. Did not seem as high class as it was said to be. Food was okay. But not the best. 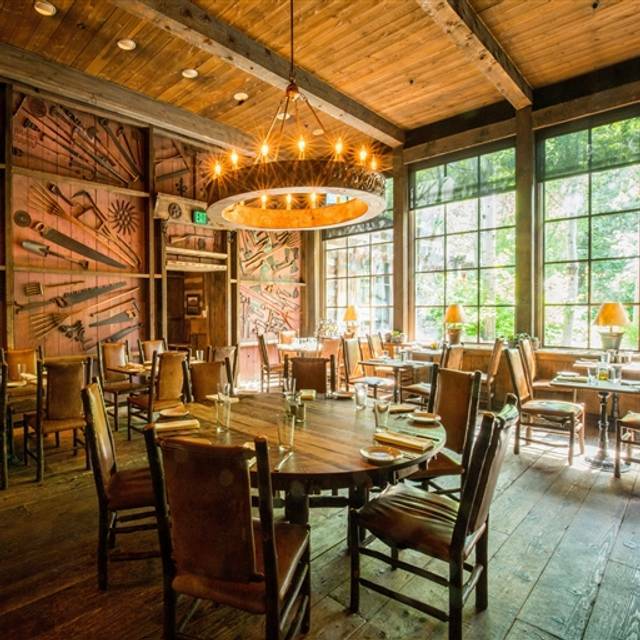 The Foundry Grill has a vibe you can feel once you enter the dining room. 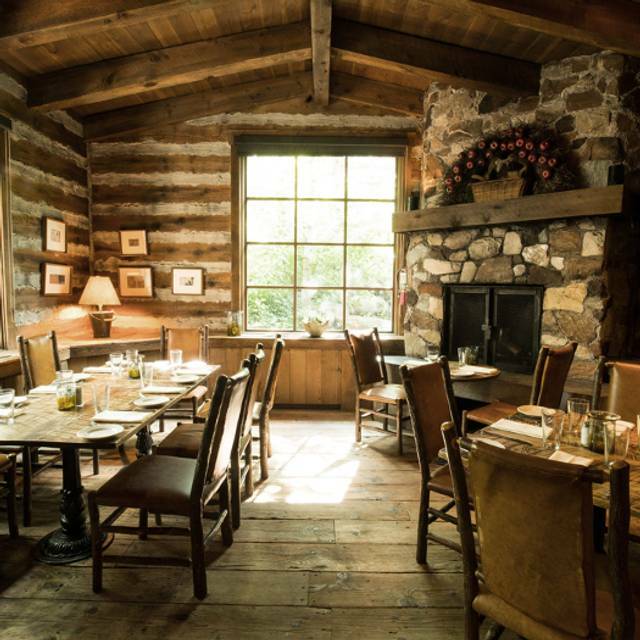 The rustic elegance prepares you for some savory authentic meals. Cornbread was incredible. I was shocked to learn that the buffet was $44 per person! I about fell out of my chair. I looked online prior to going and someone posted they paid $29.95. I called the restaurant the night before to confirm, since they do not post their prices on their site, but they were already closed. We decided to go anyway since we did not want to pay $10 per person to cancel our reservation. The restaurant was cute and we enjoyed that the food was different and more unique than a normal buffet but nowhere near the cost of $44/person!!! Maybe others can afford that but we are a military family with not a lot of expendable income. We thought it would be fun to take a morning adventure to Sundance while visiting SLC....next time we will skip the meal though. We had not been to the brunch in a few years. We were delighted, and will be coming more often. All the salads and fruit are displayed so beautifully . A visual treat. I love the ambiance of the Sundance Grill room but I was a little disappointed in my last visit. I ordered salad dressing to the side but it came on my salad. I then ordered a well done burger but it was cooked rare, still a lot of red. It was also really small. So I was a bit disappointed. Everything else was really good. But Sundance needs to watch out for these little things. If this happened again, I would consider not going there anymore. Foundry Grill never disappoints! Great food, awesome service, the BEST ambience, so cozy. We loved it. Amazing food and quality, friendly service. Will definitely be back! This was the the third time I've ever been to the Foundry Grill and it has been amazing every time. I would recommend this to anyone! Amazing food. Best setting. Expensive but a really unique experience for brunch. 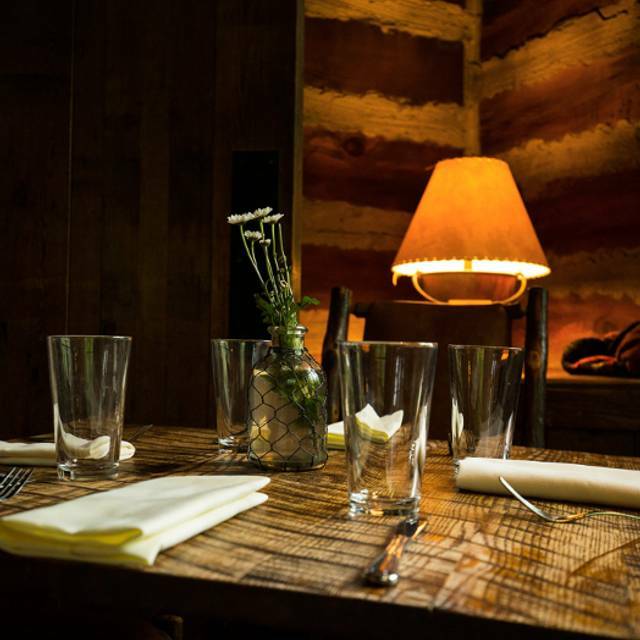 The Foundry consistently delivers warm ambience, great food and a food wine selection! Loved it! 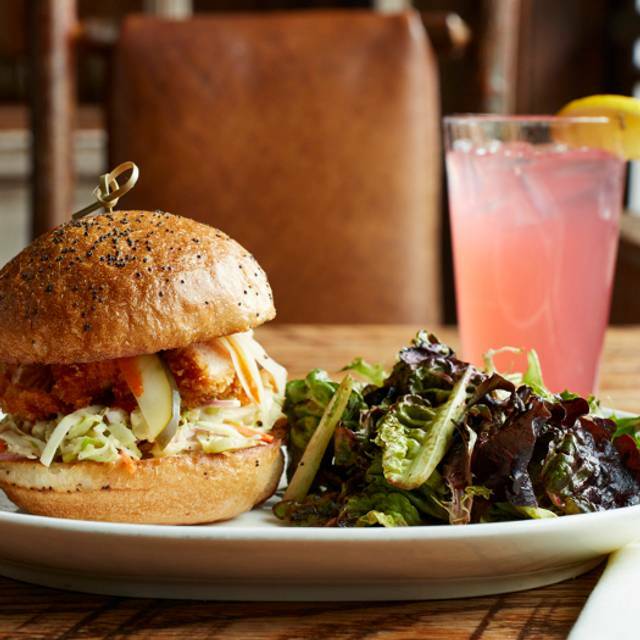 Cozy, great food, it’s Sundance! I have dined at the Foundry Grill numerous times, and the food is always excellent. This time the service was a little slow. I am not sure why they were not crowded at all when we were there for lunch. Service was slow and $60 for two salads is a bit pricey for lunch. Food was good but value not there. Always love being able to enjoy dinner at the Foundry when I'm at the resort. Food, service and atmosphere never disappoint. Awesome way to start a vacation. Ambiance was amazing. Staff were extremely knowledgeable friendly and accommodating when ask to make some minor changes.